We are pleased to present our exhibitions for September 2019 detailing the areas most successful wedding shows. With an ever-changing wedding market, more companies are looking for alternative ways of increasing business. 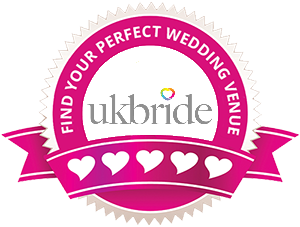 Our shows are the best way to market your business directly to engaged couples and maximise your opportunities. The prospectus covers all of our events across our venues. To download a copy of the prospectus, click here. Once you've read through this information, if you'd like to make a booking then please see the Onling Booking Form. Alternatively if you have any question please contact us or call us on 01895 251000. Once you are ready to make a booking - Fill in the booking form here. We will then process your booking, checking availability in the category you are in. Successful companies will receive a booking reference for their events. Your booking reference(s) will then be sent to you via email. Once booking references are confirmed, this forms the contract between yourselves and us. Booking references guarantee your position at the event and you have 14 days to change your mind. Invoices will be sent out to your company for the relevant spaces. Set up details for the events will be included. We will send you updates in the lead up to the exhibitions with advertising material for you to use on your website & social media. The venues featured give exhibitors a great opportunity to promote their business – these are some of the highest attended shows in the area. Please read through the prospectus carefully before making a booking. All bookings are in accordance to the terms and conditions outlined within the prospectus. We hope that you will decide to join us and we look forward to speaking with you.